All types of shellfish and Acetes sp. or ‘alamang’ gathered from the Puerto Princesa Bay are not safe for human consumption. The Bureau of Fisheries and Aquatic Resources (BFAR) said Friday that paralytic shellfish poison is still present in Puerto Princesa Bay. In its latest bulletin, BFAR said the ban on collecting, selling and consuming shellfish due to red tide toxin is up again in the bay in Puerto Princesa City. 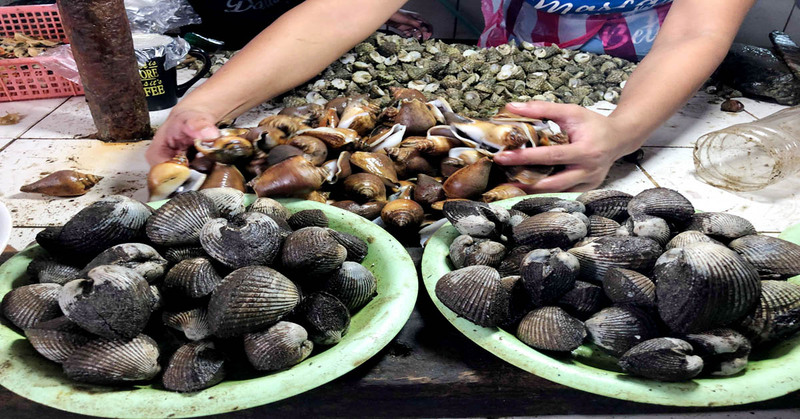 “Fish, squids, shrimps, and crabs are safe for human consumption provided that they are fresh and washed thoroughly, and internal organs such as gills and intestines are removed before cooking,” the BFAR shellfish bulletin added. The red tide phenomenon is due to the accumulation of some microscopic algae, mostly dinoflagellates, in the coastal waters. The toxin can affect fish, birds, marine mammals, and humans for days or months. The BFAR said red tide toxins has also remained in Matarinao Bay in Eastern Samar; coastal waters of Dauis and Tagbilaran City in Bohol, and Lianga Bay in Surigao del Sur.